You’re invited to join the award-winning Menlo-Atherton High School Music Program at the Big Band Dance on February 2 from 7:00 to 10:00 pm in Ayers Gym . 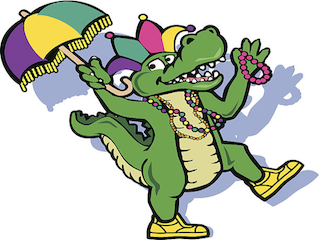 The event will once again bring the spirit of Mardi Gras and the ambiance of the French Quarter of New Orleans to M-A. An online auction will run from February 1 through 11, and will feature an executive box for the Giants/Dodgers game, Hamilton tickets, a private concert, and much more. View the auction online.